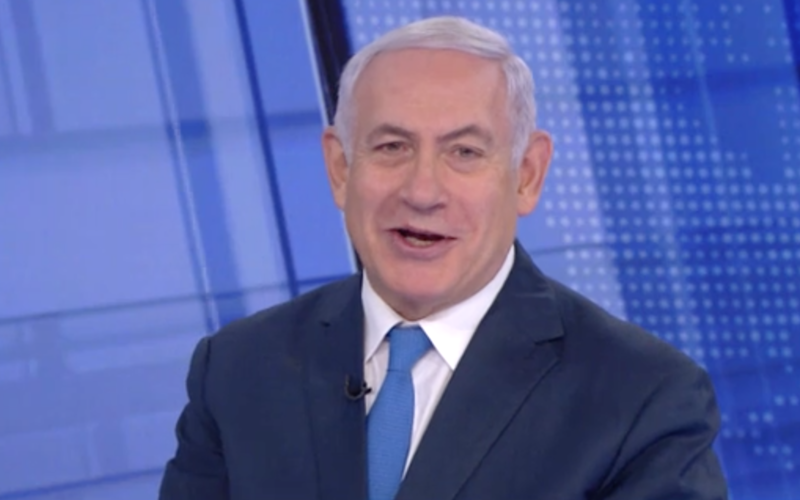 Netanyahu delivered his broadsides against the Blue and White party head Benny Gantz, members Yair Lapid, Gabi Ashkenazi and Moshe Ya’alon, and the very channel on which he appeared – Channel 12 – all while denying any wrongdoing in a corruption case involving submarine purchases that has snagged close associates. The interview also came a day after the prime minister, contending with fresh suspicions involving him, announced in a video on Friday that he would sue his political opponents for slander after Ya’alon, who once served as defense minister under Netanyahu, made the accusation of possible “treason” in relation to the case. A number of close associates, but not the premier himself, are suspected in a graft scheme in the multi-billion shekel state purchase of naval vessels from Germany. Gantz had earlier this week called for a state commission of inquiry to probe the so-called submarine affair, after fresh allegations emerged that Netanyahu may have earned millions of shekels off the deal. Ya’alon’s charge of treason appears to have been directed at a subplot in the affair — Netanyahu’s green-lighting of Germany’s sale of submarines to Egypt, which critics have said potentially puts national security at risk. Lapid has also said in the past that Netanyahu approved the deal between Germany and Egypt, without notifying then-defense minister Ya’alon. A former top defense official reportedly recently testified that he too was caught off guard by the move. Netanyahu reasserted that he bought shares of SeaDrift in 2007 when he was not a member of the government and that he had consulted the proper authorities and received the all-clear from the State Comptroller. Reports this week suggested Netanyahu made a return of over 700 percent on the stocks in SeaDrift, having bought them for $400,000, before selling them in 2010 to his cousin, US businessman Nathan Milikowsky, for $4.3 million. That stark difference has led to speculation of possible impropriety in Netanyahu’s financial dealings. “This happened because I understand economics, unlike Gantz whose company went bankrupt [Gantz was chairman of a cybersecurity firm that folded], Ashkenazi and Lapid who said he understands nothing about economics. Don’t blame me cause I succeeded in business,” he told his Channel 12 interviewers. “I sold every share I had 1.5 years before the first submarine was bought. The charge that I made money from the submarines is a straight-out lie, I didn’t make a single shekel from the submarines because I didn’t invest a single shekel,” he charged. 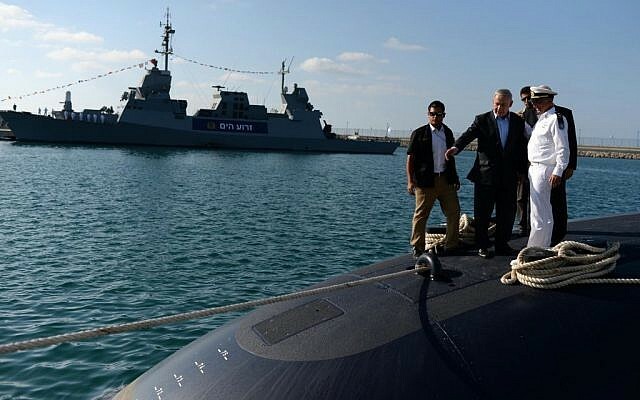 Regarding the green-lighting of the sale of submarines to Egypt, which critics have said potentially puts national security at risk, Netanyahu hinted he could not divulge certain details regarding the case and said his opponents were taking advantage of that fact. “They are trying to force me to divulge a state secret that would endanger [the country]. They are the ones endangering the State of Israel,” he accused. 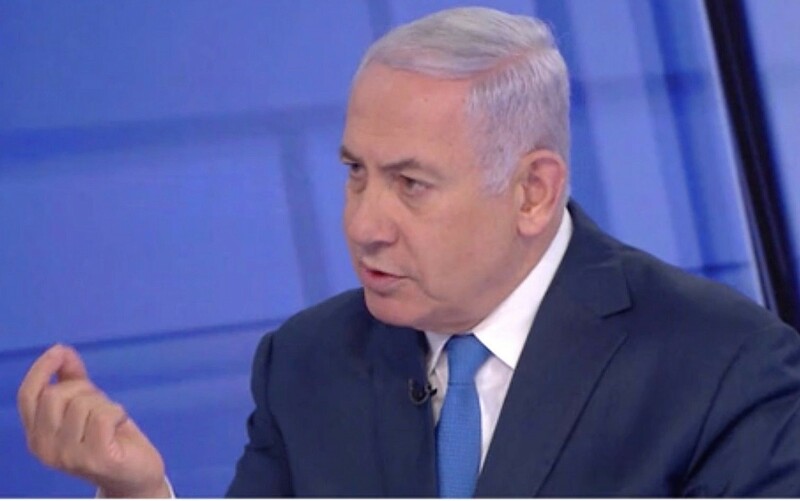 Further attacking Gantz, Netanyahu claimed the fresh wave of allegations came in response to the alleged “Iranian hack” of the former army chief of staff’s phone, which collected purportedly compromising information on him. If Gantz would just “come clean” about what was on his phone, there would no possibility for the Iranians “to extort him,” said Netanyahu. 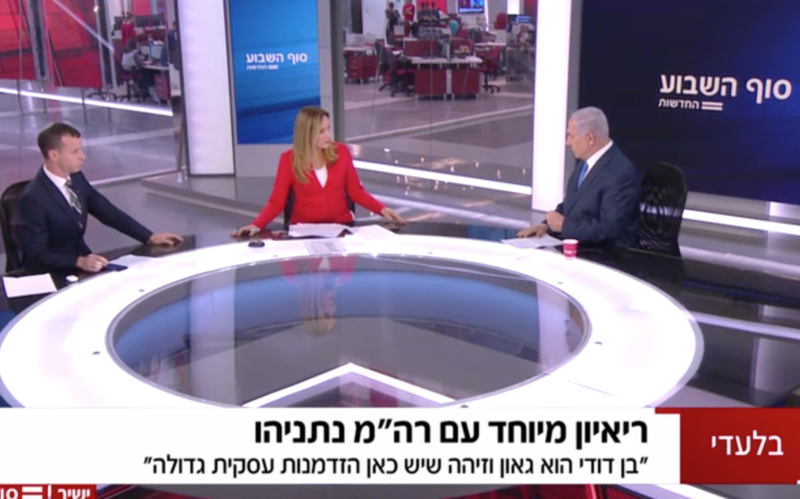 In his interview on Saturday, Netanyahu stated that he would be the one to form the next government with his existing political partners. “I don’t see the possibility of Gantz or Lapid being in it,” he said. Last month, Attorney General Avichai Mandelblit announced, separately, his intention to indict Netanyahu on charges of bribery fraud and breach of trust in three other cases. The prime minister denies the allegations, and says the cases are part of a political witch hunt designed to oust him, involving the left, the media and the police pressuring a weak attorney general. The prime minister at certain points during the interview sparred with his interviewers, accusing them of backing his political opponents and of being “soft” on them during previous interviews on the channel. He also charged that the channel was engaging in “satire,” and not real news, with its coverage of him and his family. “I’m flesh and bones, when they attack my wife, when they attack my kids, it affects me,” he said. “Again and again he changes his version [of events], avoids tough questions and continues to slander,” the statement said. The party also said Netanyahu did not provide sufficient answers in the interview on how he reportedly earned over $4 million on the stock sale or why he gave his approval for Germany’s ThyssenKrupp to sell Egypt submarines without the knowledge of top security officials. “He’s going to lose [the elections],” Blue and White said.